Intravenous (IV) therapy is an effective way to deliver minerals, vitamins, and antioxidants directly into your bloodstream to replenish deficiencies and enhance your wellness. Your body requires various important nutrients for proper functioning, and IV therapy provides you with some of these nutrients in one convenient in-office therapy. What nutrients are administered via IV? Depending on your health and personal requests, you can choose from a vast menu of effective formulations or our team can devise a modified, customized IV cocktail that incorporates the specific nutrients your body needs. IV therapies are formulated during your appointment and are highly customized just for you. The Myers’ cocktail contains magnesium, calcium, B vitamins, and vitamin C that can be mixed at varying doses. What happens during the IV therapy? 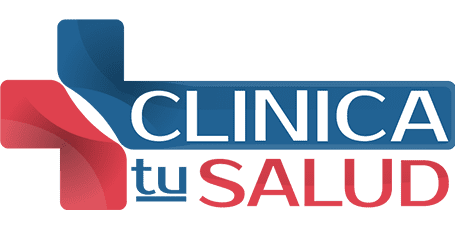 During your one-hour office visit, the Clinica tu Salud team helps you decide on the right IV therapy for you. He reviews your concerns and health history, and, in some cases, you may need a blood test. The team inserts the IV and mixes all of the nutrients into the same solution. Using the IV, Clinica tu Salud delivers the nutrients into your bloodstream. The treatment usually lasts around 40 minutes. Following your IV therapy, there’s no downtime and you can return to your daily activities right away. The benefits of IV therapy can last for seven days or much longer, and many people choose weekly or biweekly sessions. IV therapy allows you to receive a higher dose of nutrients compared to other methods of ingestion. An IV infusion greatly improves the chance that the nutrients reach your cells quickly, since they bypass the digestive tract and are present in higher concentrations. IV vitamin therapy works at the cellular level and can also help those who wish to improve athletic performance and endurance.